Bottleworks, a bottle shop local to Seattle, has teamed up with Stone Brewing to create the 13th Anniversary Ale. Brewed with 13 types of malt and 13 types of hops which ferment to a convenient 13% ABV, this is a BIG beer to say the least. The Matts, owners of Bottleworks, are no strangers to collaborating with big breweries, having produced 12 other top-notch brews with the likes of The Bruery, Russian River, Hair of the Dog and The Lost Abbey. As of now, the 13th Anniversary Ale will only be available at Bottleworks and Brouwers Cafe in Seattle with a date to be announced. Google Offers is providing VIP tickets to Bock Fest in LA at a hugely discounted $32.50 per ticket (normally $65). Special VIP guests receive 30 minutes of early access to the drinking event, giving you a head start on unlimited drinking. VIP’s also receive a complimentary pint glass, but they engrave your name on it, so you will remember who you are even after you forget how to stand. The event takes place January 14 in sunny Los Angeles and is probably the warmest winter beer festival in the country. They will not be selling tickets at the door so be sure to pick one up early. Though it may seem obvious, it’s nice to see some credible proof that the craft beer industry is alive and growing. Colorado State University released a report detailing the impact of breweries on their local economies. Needless to say, the results are favorable, and may be the reason Colorado’s Governor John Hickenlooper calls North Colorado “The Napa Valley of Beer”. Follow the link below to the original article by the Reporter Herald. Samuel Adams is starting off the new year with one of the best 12 bottle variety packs available. The Brewer’s Choice Variety Pack will be hitting shelves this month featuring 6 different Sam Adams brews. Included are Boston Lager, Alpine Spring, Irish Red, Black Lager, Mighty Oak Ale and Whitewater IPA. Three of the beers are new: Alpine Spring, an unfiltered Helles lager; Mighty Oak Ale, an amber ale aged on oak chips; and Whitewater IPA, a Belgian-style Wit brewed with five hop varieties from Australia & the U.S. along with apricots, orange peel and coriander. Mighty Oak is the winner of the 2011 Beer Lovers Choice Contest and is exclusive to this 12-pack. It’s pretty hard to justify taking a craft beer and using it for something other than pouring it into a pint glass and enjoying it how it was meant to be enjoyed, though there are some exceptions. One such example is turning your brew into an even more alcoholic beverage. So just in time for New Year’s Eve, here are a few cocktail recipes that feature craft beer as a major ingredient, allowing you to enjoy your beer with a bit of an extra kick. Have a very Happy New Year from Brewing and Beer! With the craft beer industry steadily making a name for itself in the US, it’s clear that the days of light, flavorless American Lagers are being replaced by an era that provides an array of options that might complement a meal or provide a topic of olfactory conversation. 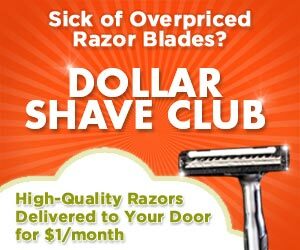 The execs at the big 3 (Bud, Miller, Coors) aren’t ignorant of this fact however and are scrambling to find ways to stay viable in a world where Bud Light is no longer the go-to beer for the latest generation of beer drinkers. 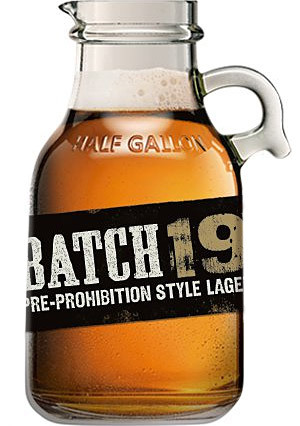 Batch 19 is Coors’ attempt to provide a “craft” beer to compete with the likes of Stone or Dogfish Head. Received with mediocre reviews, the new lager does boast a malty presence with a slightly hoppy finish but it seems to fall short in terms of the overall experience. Available in select cities, though we recommend sticking with a true craft brew. Weighing in at a relatively low 5.5% ABV and 50 IBUs, Bridgeport India Pale Ale ($8) is a beer that defines what a balanced IPA should be. Brewed with 5 hop varieties, this beer has a citrusy floral overtone with just the right amount of malt back to provide a very full flavor that doesn’t leave your tongue dry with bitterness. One taste proves it’s obvious the brewers at Bridgeport set out to create a delicious beer with balance being the number one priority. Winner of 9 awards in beer competitions across the globe (the most recent being a silver medal at the Australian International Beer Awards in 2011), Bridgeport IPA will most likely make its way to the top-10 of any hop head who appreciates a beer that isn’t simply bitter for bitterness’ sake. Nothing goes together quite like a burger and a craft beer, so it seems only natural that American fast food joints should be carrying the stuff. Unfortunately, due to government red tape, increased liability and a public image to uphold, the only drinks available have been soft drinks. Yet it seems obvious that beer would sell and easily cover any government licensing or increase in insurance costs, and that’s what White Castle in Lafayette, IN is testing. Beginning only with domestic brews for $3, if they see success, it’s only a matter of time before we might be able to pick up a full-flavored craft IPA to wash down our burgers. Check the link below for an article on other ways White Castle is trying to increase revenue. The holidays aren’t just a time for drinking craft beer or homebrew, it’s also a time for beer flavored candy. Beercandy.com has an assortment of beer related confections including the India Pale Ale Caramel ($7.50) shown above, Hop Drops ($10 – $18), and assorted Beer Taffy ($10.50); any of which would be a perfect gift for a beer lover who wants to get his hop fix in non-liquid form. Caramel and Chocolate Alt is a better way to describe it. Absolutely amazing beer, drinkable, flavorful, smooth and liked by hop heads and beer beginners alike. Will most likely land in your top-10 beer list.